Deine Meinung zu Trade ? 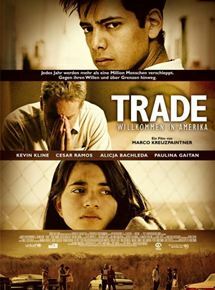 i loved the film , i think is one of the best expressing one of the realities from my continent!!! whta i don´t like is, having a lots of great singers and amazings american bands , how all the time Spain goes out..... i respect Spain and their singers, but i think that was a fail from the film.... i would liek to here Gian Marco ( ) Susana Baca ( ) etc..... mil saludos y felicitaciones por el super film !! !Gracias por escuchar MaríaDanke für zuhören :D!! !María!